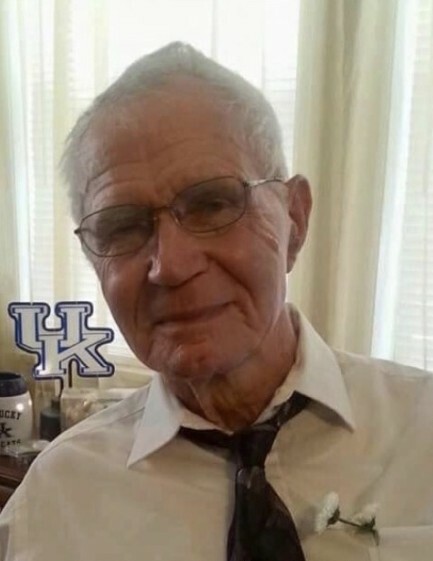 Edward Eugene Burt, 88, Oak Grove, KY, passed away Saturday, January 26, 2019 at Deaconess Heart Hospital in Evansville, IN of natural causes. Celebration of Life Service will be at 1:00 p.m. Tuesday, January 29, 2019 at Lamb Funeral Home with Rev. L.T. Whittley officiating. Burial will be in Kentucky Veterans Cemetery West with full military honors. Visitation will be from 11:00 a.m. until the service hour Tuesday at the funeral home. He was born October 7, 1930, in Meridian, MS to the late Johnnie Newton Burt and Mamie Elsie Burt. He was also preceded in death by his brothers, Hiram Louis Burt, Johnnie Newton Burt Jr., Alford Lamar Burt, Thomas Franklin Burt; his sisters, Nannie Mae Troutman, Elsie Evola Smith, and Gladys Selida Evans. He was a Retired United States Army Veteran, having served during the Korean War (he is one of the last of the Chosin Few) and Vietnam War. He worked for Fort Campbell Federal Credit Union and owned Burt's Storage Barns in Oak Grove (which was his pride and joy.. building things). He was a member of First Baptist Church of Oak Grove. Survivors include his wife of 31 years, Bea Burt, Oak Grove; his sons, Marty (Patti) Burt, Navarre, FL, Arty Mayor, Oak Grove, Gary (Edna) Mayor, Clinton, MS; his daughters, Belinda Parker, Greenback, TN, Georgianna Mayor, Kansas; 8 Grandchildren, 8 Great Grandchildren, and 3 Great Great Grandchildren. The Family would like to thank the Western Kentucky Veterans Center in Hanson for the great love and support provided to Edward, especially the staff of the Reagan Building.